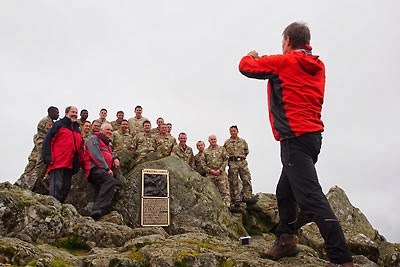 A climb up to the peak of Great Gable in late September just happened to coincide with the re-instatement of the Fell and Rock Climbing Club of the English Lake District's memorial plaque to those members who lost their lives during World War I. 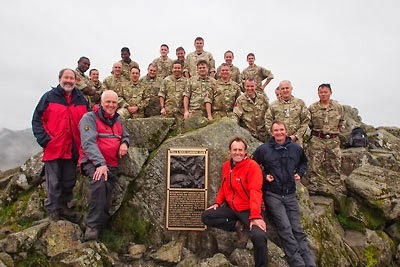 On Wednesday 25th September the Engineers accompanied by members of the FRCC carried the plaque back up to the summit using a stretcher. 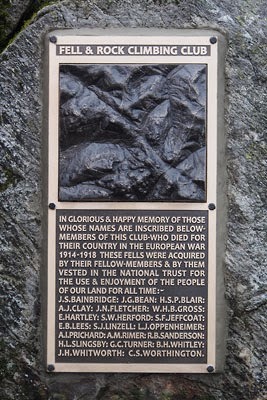 They took all the tools and materials they needed with them and fixed the plaque back into its rightful place.